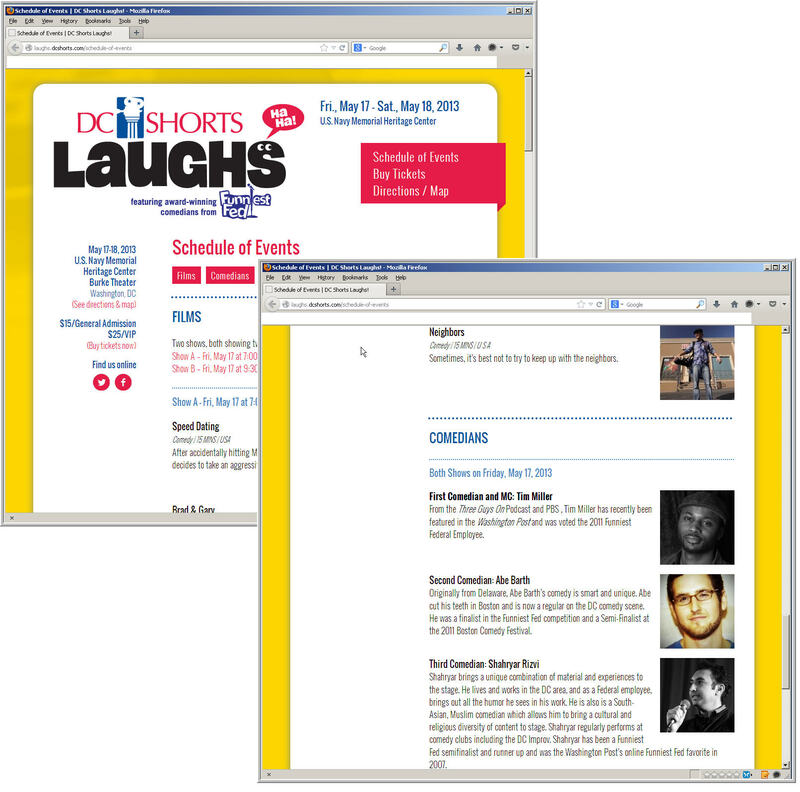 DC Shorts is a great organization dedicated to short films. 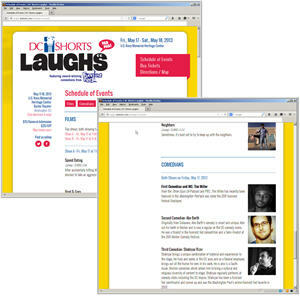 Every year, the organization does a really cool annual show called DC Shorts Laughs where they film comedy short films and have some comedians come perform in between some of the movies. The comedians are from the Funniest Fed, another great organization dedicated to combining the two worlds of being a Federal employee and comedian. In the Funniest Fed contest, I had a really good experience the both years I performed in 2007 and 2009. This year I’ll be performing with comedians Tim Miller and Abe Barth. It should be a lot of fun.